Hoopla is fun, unique quality wine that will have your tail wagging with delight. Have fun, that’s our simple philosophy. Napa wine has become so stuffy. It seems more important to follow fashion rather than instinct. Buy it for the wine, not the pretense. Hoopla is contrary, great grapes shape our wines, not trends – it’s pretty straightforward. Zzzz…is that your bored palate we hear? Treat it to a little fun. We’re pretty dog-obsessed, so when Hoopla Chardonnay crossed our paths, we were psyched. With the leaping canine on its label, we knew we were going to have fun with this one. Bright crisp apple cuts through ripe pear fruit in this golden-hued sipper, whose sister wine, a red blend, is cleverly called The Mutt. Both wines are fun and food—and Fido!—friendly. The Tasting Panel Magazine, Rachel Burkens. This unoaked version of chardonnay didn’t need any wood to provide richness and depth. It has both aplenty, and there’s nothing to get in the way of the pure fruit flavors….It’s a very well-made white wine that should have broad appeal. The Hoopla Unoaked Napa Valley Chardonnay rocked! Hands down this is one of the best labels; dog lovers and wine aficionados seem to be symbiotic. Fun, lively, full of life with a non-conformist attitude. No, it’s not the tasting notes of our next wine, that was Dante, Spencer’s little dog. Some might say favorite child. The original boss around here. This little pooch embodied the Hoopla spirit, that’s why his picture will always grace our label. He lived to the ripe old age of 137, in dog years of course, and kept working until the end. There was never a quiet moment for the wild turkeys who dared encroach on his vineyard while he was on patrol! 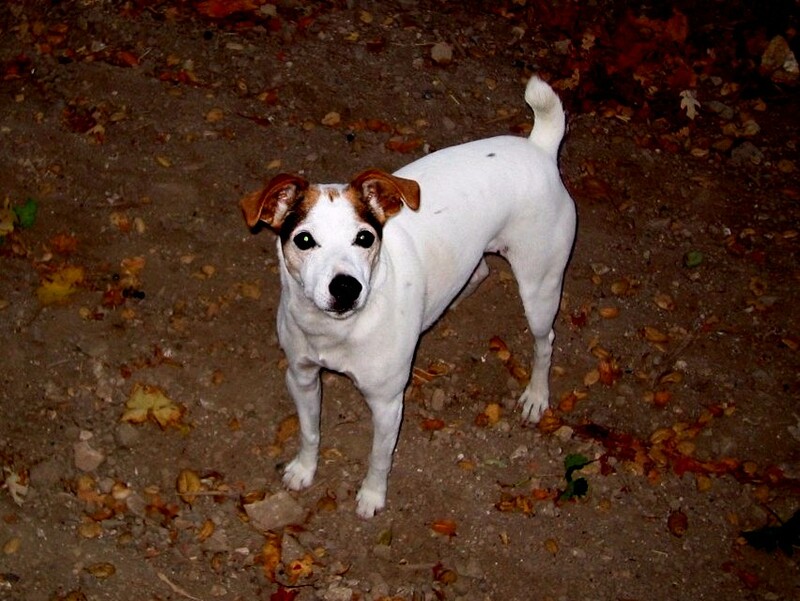 After their beloved terrier, Dante, passed away, the family adopted two rescue dogs, littermates Maya and Sophie. Hoopla now represents fun-times-two! Lindsay calls them her super-model Corgis, as they have all the features except their sleek, long legs must come from a taller parent. Irresistible, energetic and full of mischief, these girls love to dig up the Hoopes family flower garden. Their motto is ‘do what you want, and apologize later…but only if you have to.’ Maya and Sophie do help out though at harvest time. 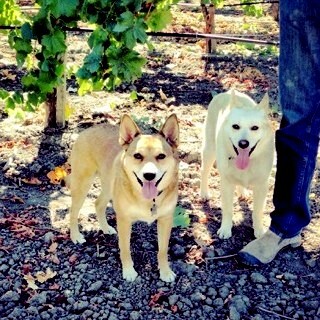 When this dynamic duo started eating the grapes from the vines, Spencer and Lindsay know it’s time to get picking! Spencer grew up on a farm in southeast Arizona. Farming, though not grape-growing, has always been part of his DNA. A random meeting led Spencer to a wine tasting in San Francisco. Inspired, Spencer created a wine club with friends and started collecting wine. 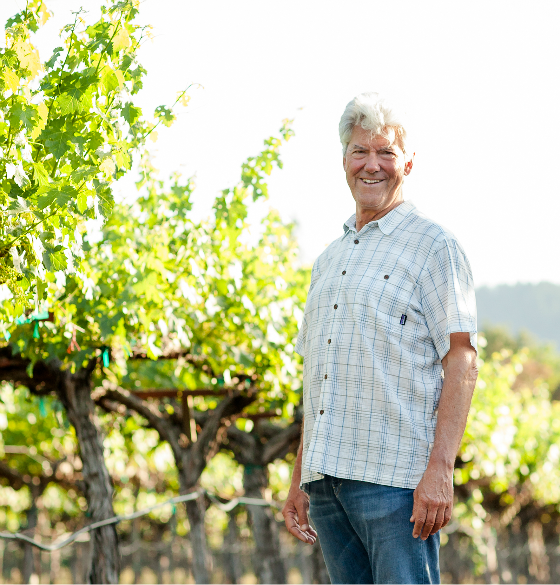 In the early 1980s, he bought ten acres in Oakville, Napa Valley and planted the vineyard with new Cabernet Sauvignon vines which are 35 years old now! In 1999, the Hoopes family launched their own label. Today Spencer and Lindsay walk the vineyards and make plans for the future of this exceptional soil. “With the combination of the soil, the rootstock, the clone, and the way we are farming, we get a really unique Cabernet. The fruit produces a fantastic nose in the glass and you get really bright fruit flavors in the mouth,” says Spencer. Spencer is an avid outdoorsman and accomplished marksman, who also has a passion for fly fishing, skiing and camping. Spencer’s love for family and the land is alive and well. Lindsay has always been a wine enthusiast, due in large part to growing up on the vineyard. She grew up walking in the vineyards alongside her dad, Spencer Hoopes. Together the family spent many afternoons talking about growing cycles and wine branding. This gave Lindsay a unique perspective. Those afternoon conversations have served her very well in the wine business, where since 2013 she has been one of the youngest winery General Managers in Napa and one of a very small number of women who run wineries in the Napa Valley. An avid traveler, ski enthusiast, photographer, chef and animal lover, Lindsay brings a genuine passion and spirit of adventure to the winery. Lindsay has many new ideas for the winery, but retains a sincere reverence for the history of the region and her farm origins. 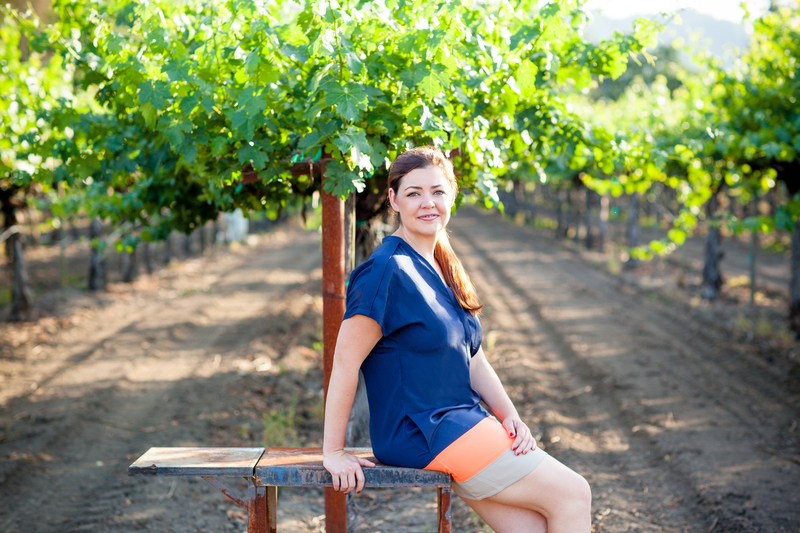 Lindsay is a member of Next Gen, the “next generation” of winemakers who grew up in the Napa Valley, and in many cases worked alongside their families in the wine business before leaving to go to school or work in other places. Serendipity was in the morning air when Maya and Sophie took Lindsay for a walk down a Yountville country lane. Maya, the feisty one, spied a jack rabbit and bounded off in hot pursuit. When Lindsay caught up with her, she found herself surrounded by some fine looking Chardonnay vines. Always on the look-out for the best fruit for Hoopla, with some neighborhood super-sleuthing, Lindsay tracked down the vineyard owner and kept talking until she got his handshake. That chance discovery gave us really great Chardonnay that we offer at a really great price. In fact, chasing rabbits is exactly what we’re talking about. This cheeky Chardonnay will make you want to get into some mischief too. A mild harvest allowed us to pick the vineyard in two sections over a two week period naturally balancing refreshing citrus and apple notes of the earlier pick with more ripe pineapple and tropical fruits of the second. The flavor profile is bright, and crisp – like unoaked Chardonnays – while the mouthfeel is creamy and round – like other oaked counterparts. The proof is in the glass, a just right combination of heady fruit aromas, balanced, refreshing flavors and luscious finish. This wine is delicious with roast chicken and buttery mashed potatoes, fish tacos, Chinese chicken salad, lobster mac and cheese, triple crème Brie slathered on French baguette and salt & pepper flavored kettle-cooked potato chips. When big sister Hoopes Vineyard got their rosé, Maya and Sophie jumped up and barked ‘me too!’ After all, girls just want to have fun, and what’s more footloose and fancy-free than hanging by the pool or on the beach with your favorite peeps and a couple of chilled bottles of fruity pink wine. Like it’s littermate “The Mutt” this rosé is a big blend of everything in the winery that sounded good. The first sniff will make your ears prick up, the first taste will leave you begging for more! Rose all day? Yes please. This pretty, fresh wine comes to the table with sweet aromas of cotton candy, grenadine and strawberries. The party continues with a juicy and crisp mouth opening to a hint of guava nectar and grapefruit with a lengthy finish. This wine is great with Hawaiian Ahi Tuna Poke scooped on wonton crisps, Pan-Seared Salmon with ginger-lime sauce, Thai green chicken curry, Shrimp Louie salad or in a pinch, just pop open a bag of Cool Ranch Doritos! “The Mutt” was inspired by Maya and Sophie, our beloved rescue dogs. “The Mutt,” like Maya and Sophie, is playful, unique and interesting. The grapes used are the “seconds”—what we don’t use in our premium wines, we salvage and use in “The Mutt.” Maya and Sophie aren’t shy about their pedigrees, and we’re not shy about using “seconds,” either, because they make a wine made from premium grapes very affordable and tasty, too. So come take a walk on the wild side—this Merlotful red blend will have you running through the vineyards, leaping for joy! This Napa Valley Red Blend exemplifies the big 2015 concentration. The aromas are rich and inviting with juicy blackberry, violet, and anise lending layered complexity. The mid-palate is full and plummy with a touch of toasted oak. This structured yet smooth wine finishes with hints of cola and vanilla. This wine will pair well with anything grilled especially a double cut Pork Chop or Rib Eye steak and is best served with roast fingerling potatoes tossed in sea salt and rosemary. Send us your questions or let us know what you think of our wines.